Join us on Tuesday, September10th @ 6:00pm for our annual Summer BBQ & Baptisms! Invite your friends and neighbors to enjoy our city, eat good food, and hear stories of God’s redemptive work. We encourage you to bring lawn chairs, blankets, frisbees and fun lawn games. Our hope is to enjoy time as a church family and provide natural avenues to invite people into community. WHERE. Lake Union Park, 860 Terry Ave N. We’ll gather on the west side of Lake Union Park north of the pier. PARKING. There is ample street parking on either side of the park that is free after 6 pm. The Lake Union Trolley leaves from 5th & Olive and runs right in front of the park. FOOD. Bring your own meat to grill. Side dishes, beverages and desserts to be provided by Cornerstone Communities. Condiments and paper products will also be provided. We’re looking forward to what our gracious God will do! “Something remarkable happens when we remove ourselves from the busy city life to camp with friends and strangers. It’s not because God is only found in nature (He’s always with us), and it’s not because we’re doing something super extraordinary (we can eat hot dogs at home, too), and it’s not even because we’re inspired by the magical beauty of Creation (which we absolutely were!). There’s something about being “away” with people, that allows God to work in unique ways, without distractions and obligations biting at our heels. We get to slow down. We get to rest. We get to enjoy being in the present without rushing to the “next” thing. We get to give our time generously, to listen to the “long” version of each other’s stories, and to cross paths with people we wouldn’t have otherwise. In God’s abundant generosity and blessing, new friendships were forged, new places were discovered, and new memories were made at the DCC campout. Thank you to everyone who came out and helped make it such a fantastic weekend. 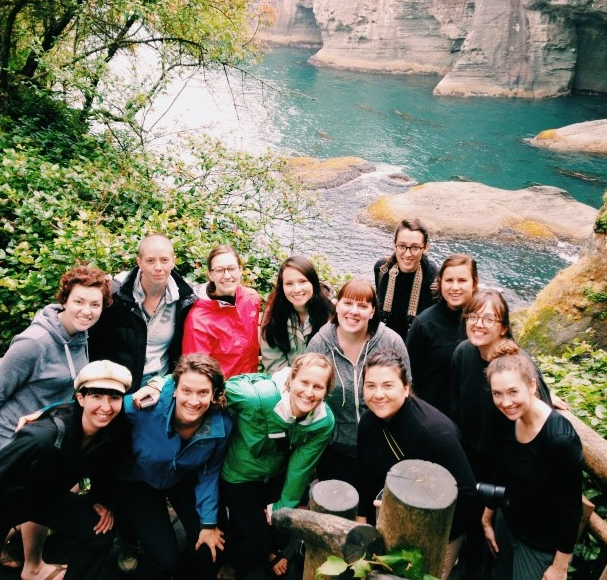 Join us as we go camping as a family and embrace all that the Pacific Northwest has to offer. On Friday, August 16, we’ll venture over to Port Angeles, located on the Olympic Peninsula, and spend a weekend in the great outdoors. Whether you’re a six year old that loves the water or a sixty year old that’s afraid of spiders, there’s something for everyone to enjoy. Some of the activities available include mini golf, swimming, bike rentals, hiking, kayaking, and shopping. There will be plenty of time to meet new faces, explore the area, and indulge in some good old-fashioned s’mores. We’re looking forward to meeting your neighbors, coworkers, friends, and families, so please invite them along for the adventure. More details, directions, and registration can all be found here. At Downtown Cornerstone Church we are committed to building a great city, not just a great church. 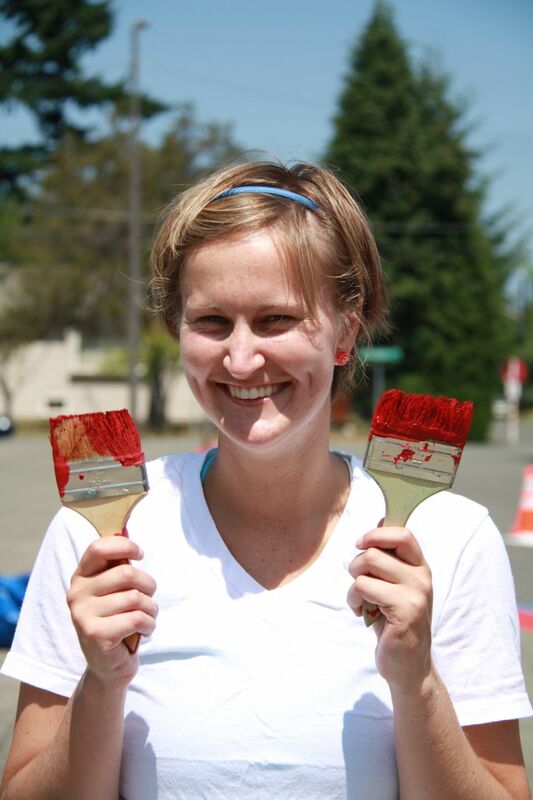 Our desire is to see gospel renewal take place from the avenues to the alleyways. 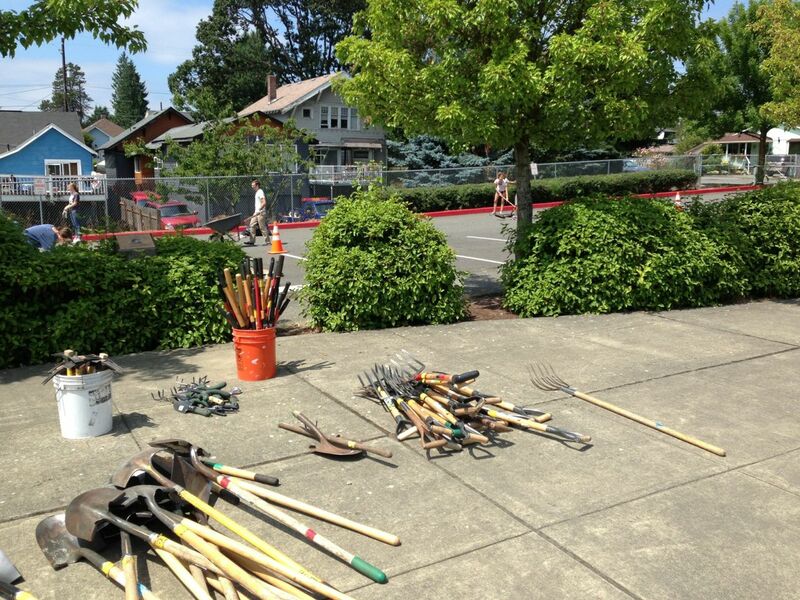 On July 20th over 100 people from DCC partnered with Dunlap Elementary School in Rainier Valley to help with some much needed maintenance. Dunlap is located in one of the most diverse neighborhoods in the country, and over 85% of the students receive free or subsidized lunches. As a church, we believe that we have been infinitely loved and served by God through the person and work of Jesus, so we serve as we’ve been served in Christ. 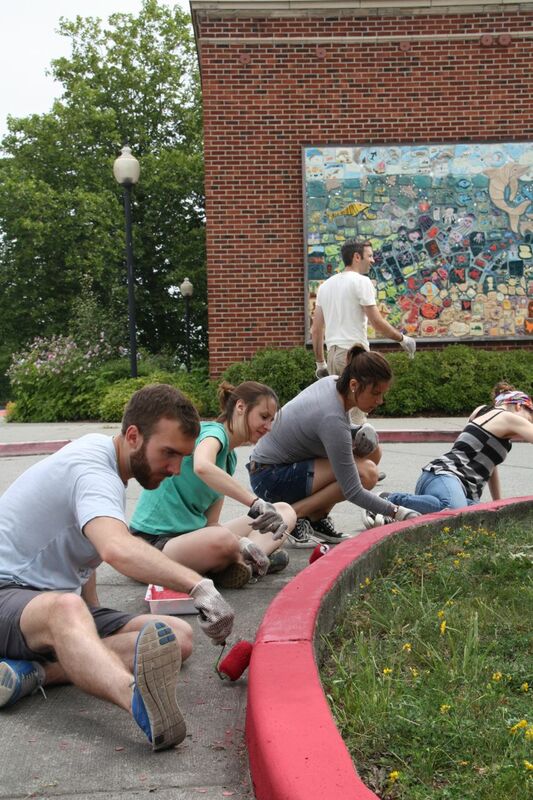 Thank you to everyone who came out to Serve the City this year! Check out the video and photos from the event below and be sure to join us next time we gather as a family to serve the city, loving it to life. Having trouble viewing the video? Click here to open it in a new window. 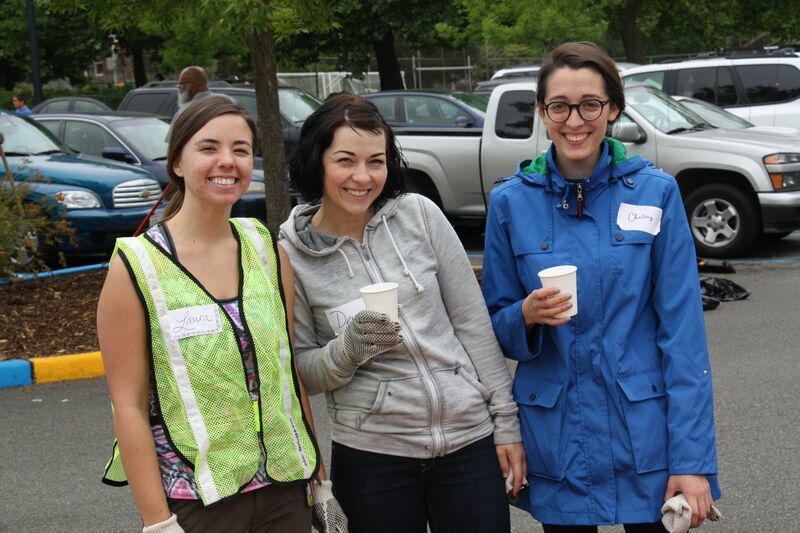 For more pictures from Serve the City 2013, click here. If you’re not busy on Thanksgiving morning, you’re invited (rain or shine!) to participate in DCC’s 2nd Annual Turkey Bowl. We’ll gather at Judkins Park on Thanksgiving Day at 8:00am for festive fall foods, kids games and a friendly game of co-ed flag football for those interested. Basically, this is just a good reason to hang out on Thanksgiving amidst friends, lawn chairs, blankets, shouting fan(s), laughter and good food. Bring a favorite fall breakfast treat or drink to share (hot chocolate, cider, coffee, etc). Don’t forget to dress warm and spread the word! 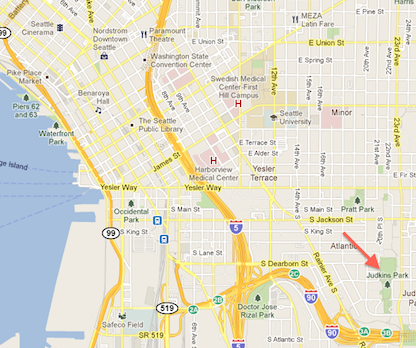 Judkins Park | 22nd Ave S & S Norman | Directions here. Beach Baptisms Video is Live! Watch on Vimeo.com. Video credit: Peter Isaza. On August 16th, 2012, we had the privilege and honor of holding our second annual summer baptisms as a newly forming church in the heart of downtown Seattle. Simply speaking, it was an awesome evening. There were testimonies of God’s grace, great food and 12 baptisms. What a night! God has not called us to plant this church in order to merely build a great church – but to build a great city, from the avenues to the alley ways. That happens as individual lives are changed by Jesus and sent into the city armed with His message and mercy. Baptism marks that change and for that we rejoice. Learn more about baptism here. On Thursday, August 16th, 155 of us gathered at Lake Union Park to enjoy summer barbeque, our beautiful city and God’s great grace in baptism. Throughout the night we got to hear of Jesus’ real, active, transforming work in the lives of 12 brothers and sisters in Christ. Click here to see the full slideshow from the evening. You can also learn more about baptism here. Video coming soon. Stay tuned! 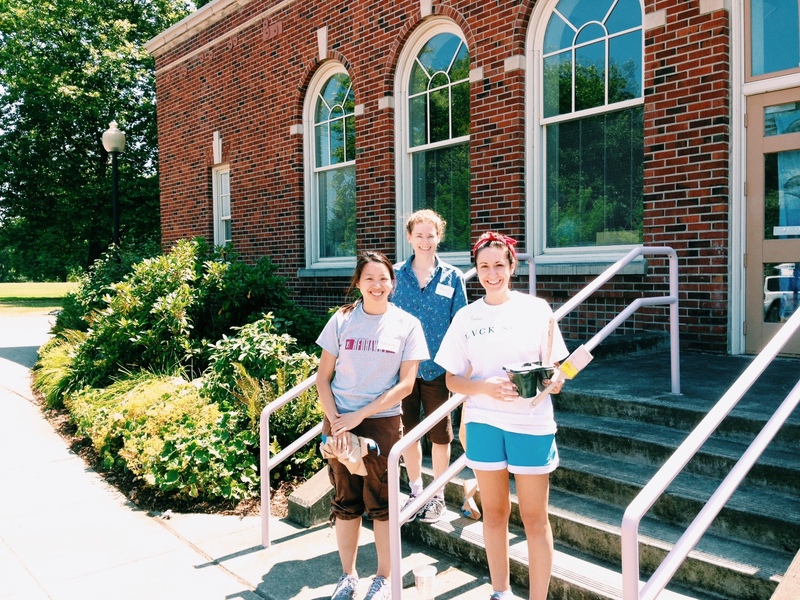 Last Saturday, July 21st, 70 volunteers of Downtown Cornerstone walked the City Center of Seattle, from the avenues to the alley ways, collecting 24 bags of garbage littered throughout the core. 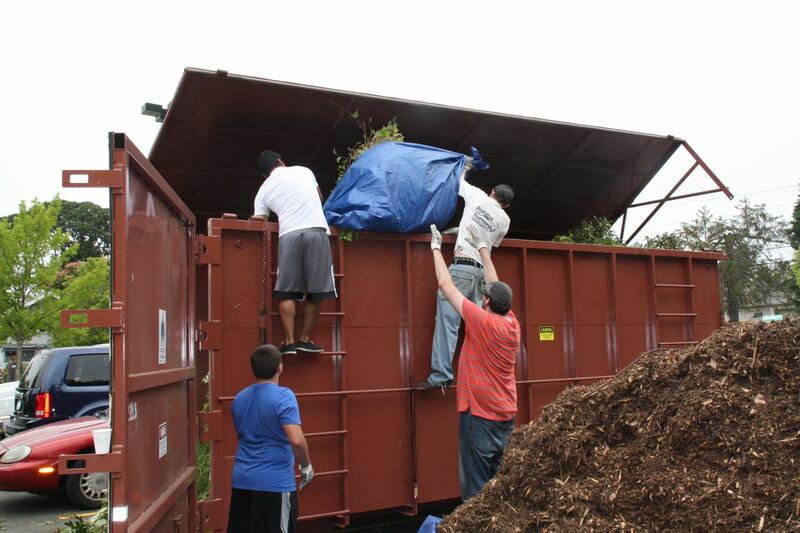 Our goal was simple: to sacrificially serve the city as we’ve been sacrificially served by Jesus Christ (Mat 20:28). 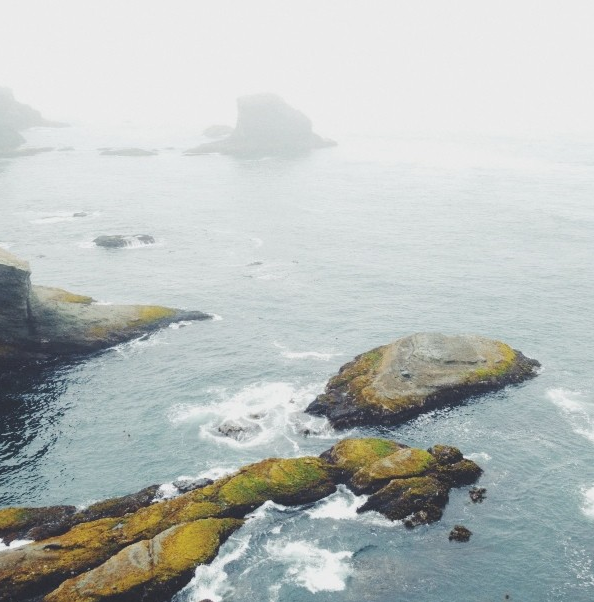 Jesus willingly entered into our mess of sin and decay, so we gladly do the same for our city. (Rom 5:8; John 3:16; Phil 2:4-11) Check out some of the photos from last Saturday morning above. 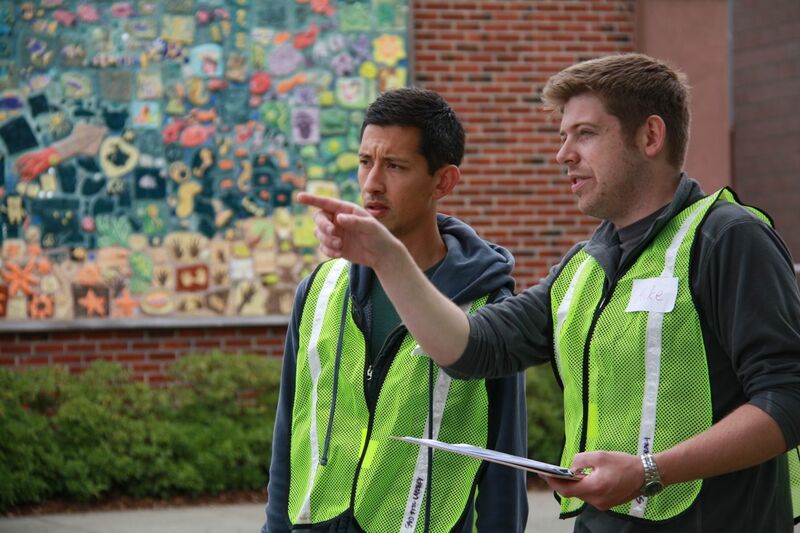 A big thanks to Seattle Public Utilities and Adopt-a-Street for your partnership and assistance. This is just the beginning as we aim to spread the message and mercy of Jesus Christ, and in so doing, love our city to life. 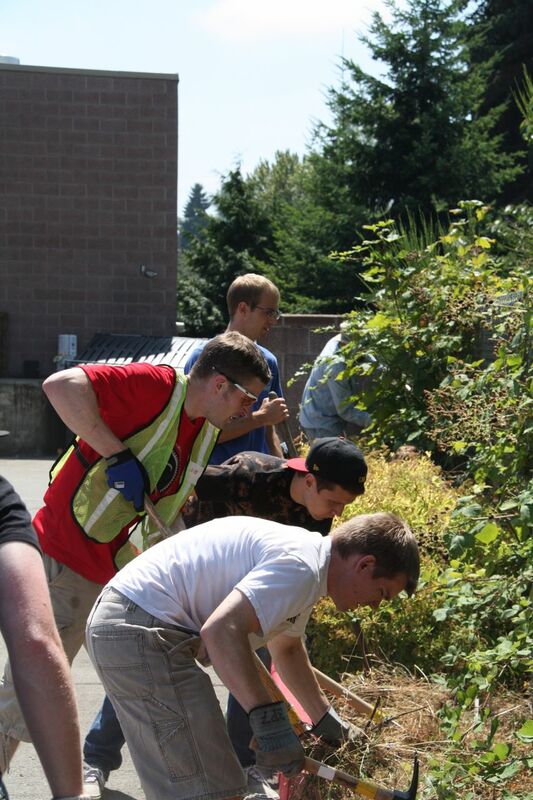 Join us July 21st as we serve the city by cleaning and connecting with the people in downtown Seattle’s avenues and alleyways! 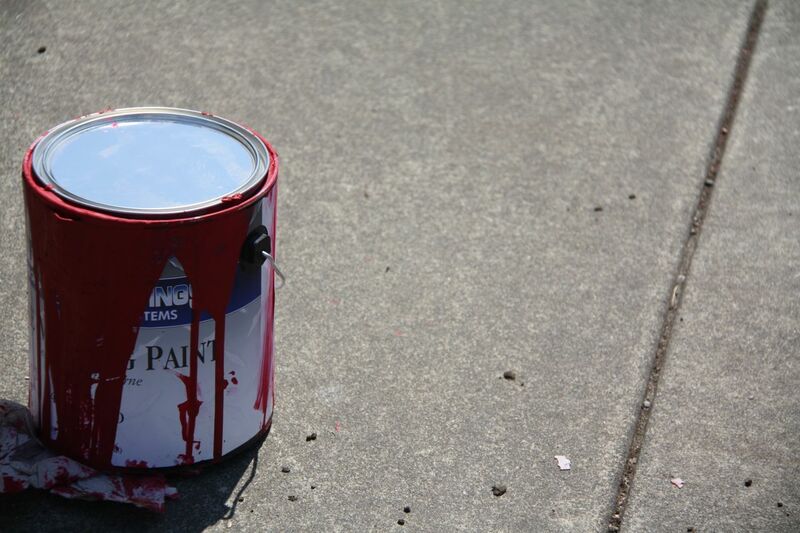 This project includes partnering with the Seattle Public Utilities “Adopt-A-Street” and “Clear Alley’s Program.” DCC will pin point which downtown Seattle streets and alleys will be cleaned by our volunteers. Seattle Public Utilities will provides necessary resources like garbage bags, gloves, brooms, etc. WHEN: 8:00a – 12:00p on the third Saturday in July (7.21.12), Download this flyer to share with your neighbors and friends! WHO: You and your friends, family, coworkers, neighbors. 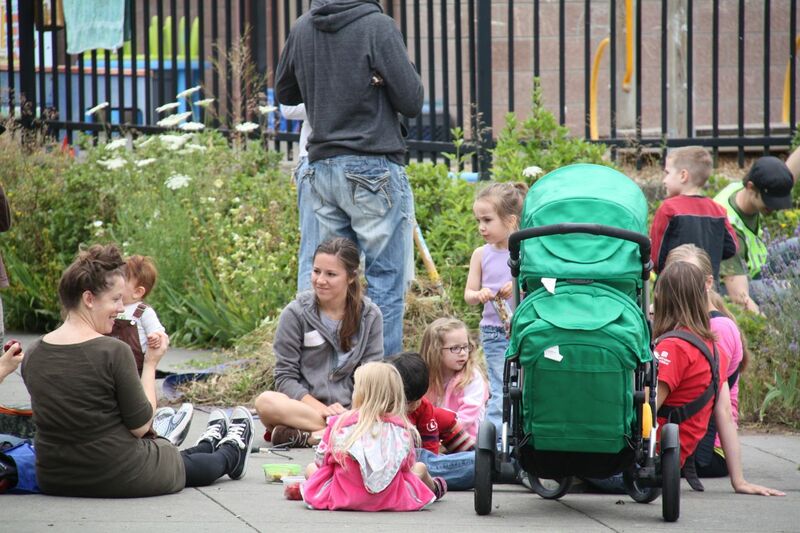 This serving opportunity will be a great bridge to build in Seattle and will help us give people a taste of the love, grace and mercy Jesus freely offers them. WHERE: We will meet up in the parking lot on the northwest corner of 7th Ave & Lenora in front of “Piranha”. Parking in that Impark lot is only $5 for up to 10 hours, so we recommend parking there. HOW: We are aiming for 65+ volunteers! We will break into 8 teams of 8 or so people. Each team will be assigned specific streets and alleys to “own” by way of cleaning and caring for people within the vicinity. We’ll proceed block by block through the City Center until each street and alley is served or we run out of resources. 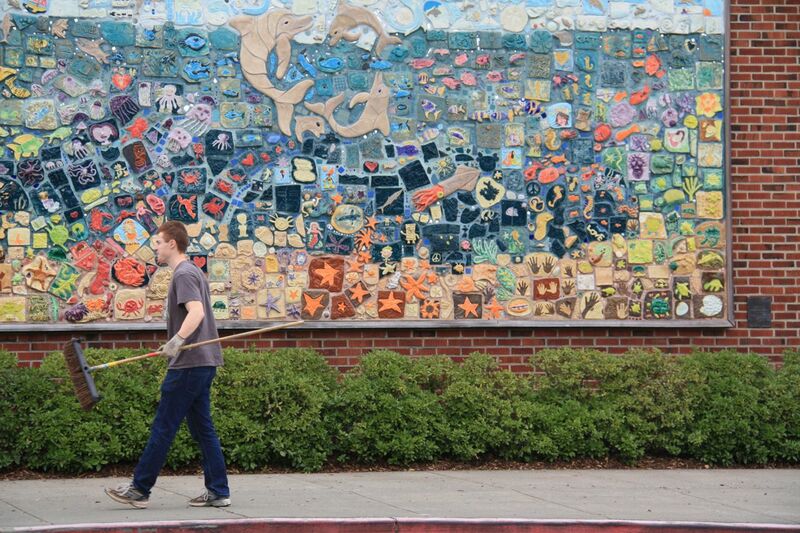 MISSION: Our goal is to love the city to life by way of service and care for people. Our primary function is to serve the city and as we do that we will be mindful that we are Jesus’ ambassadors, making much of him in how we serve, and ultimately, why we serve. More details to come. If you’d like to join us please email info@downtowncornerstone.org. You’re invited to join us on Thursday, August 16th @ 6:00pm for our second annual summer BBQ & Baptism celebration. 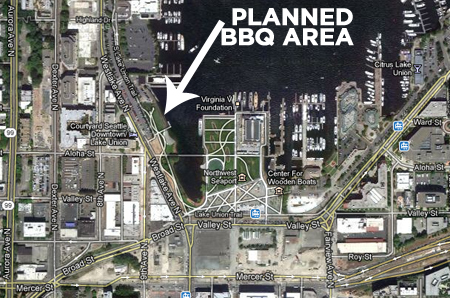 We’ll gather on the west side of the new South Lake Union Park (see map below). When we repent of our sin, trust in Jesus Christ for our salvation, we should be baptized (Mat 28:18-20; Acts 2:38). In baptism we identity with Jesus in his death (being immersed under water) and his resurrection to new life (being brought out of the water) for the forgiveness of sin (Rom 6:1-10; Col 2:12). Learn more about baptism here. If you would like to be baptized with us in August, please fill out this form or email us with any questions you might have. PARKING: There is ample street parking on either side of the park that is free after 6 pm. Also, consider taking the South Lake Union Trolley which runs from 5th & Olive to the park. FOOD: Bring your own meat to grill. Side dishes, beverages and desserts to be provided by Cornerstone Communities. Condiments and paper products will also be provided.